at prices that can't be beat! Show them who you are with print on fabric! 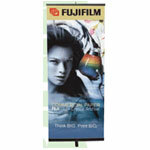 If you are shopping for quality made in the USA portable trade show displays and graphics from manufacturers that have been servicing the Trade Show Display industry for a minimum of 20 years , and guarantees the quality and craftsmanship of their products, then shop no more. And if that is not enough, I guarantee you that no other dealer will sell them to you at the prices I will! 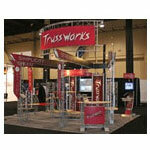 Call us now at 888-481-7670 .
Business Services For U has over 20 of experience in the trade show display industry. With everything you need in easy-to-ship, easy-to-set-up, eye catching portable trade show displays and accessories that are available to you at very competitive prices. Every manufacturer that we represent has been servicing the Trade Show Display industry for a minimum of 20 and guarantees the quality and craftsmanship of their trade show displays! See the testimonials of some of our satisfied customers and what they have to say about our displays, service, and pricing. I sincerely regret not calling Barry at Business Services For U last year when we purchased our truss and counters for our main show. We needed a special counter this time and I had searched multiple web sites none of which could produce what we needed. Barry came thru for us with flying colors not only having what we needed but at a price I could not believe. We look forward to many years of doing business with you. Offering everything from portable trade show displays, portable counters, computer stands, pedestals, towers, kiosks, graphics, banner stands. 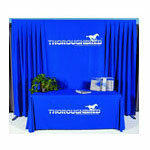 With a wide range of quality products, including photo murals, podiums, literature racks, lights, case conversion kits, imprinted table skirts and throw covers, director chairs,graphic headers, and shipping tubs to offer, you can count on increased lead generation and sales from your trade show displays investment. 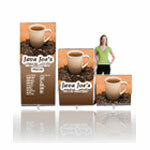 Do you need to rent any displays? 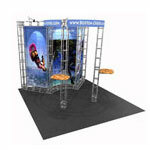 Call us for a tradeshow display rental exhibit! 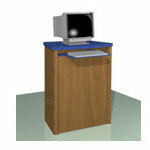 All trade show displays, trade show tabletop display exhibits, counters, computer stands, pedestals, and towers are also available as rental displays. Short notice is no problem. 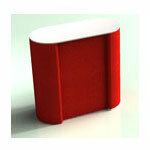 Visit out our articles on trade shows and displays. Do you have any questions? Get the answers. Just call 1-888-481-7670 for fast, friendly, knowledgeable and consistent service.